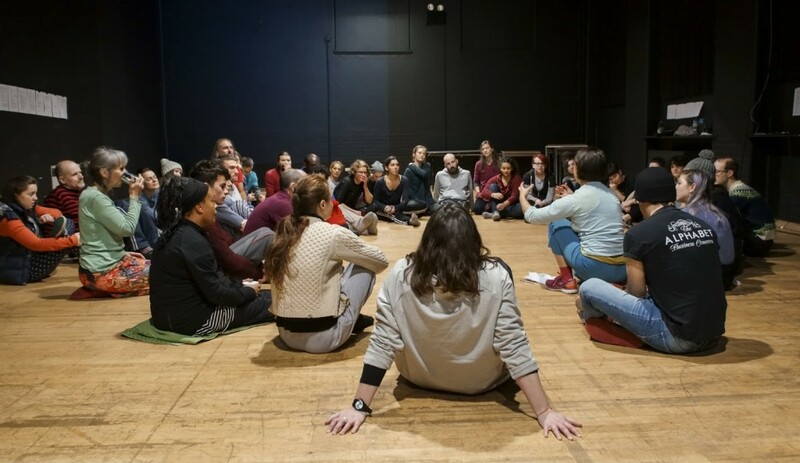 Ways of Being Together is a series of workshops, discussions and performances centred around the idea of Belonging. A sense of belonging is intimate and powerful, connected, optimistic, unknown and curious making. Jo Fong has been gathering people. Jo is interested in spontaneity, arriving with ourselves and authentic encounters. The interaction is live and people adapt, make room, save, lead, follow, get out of the way, care, grow an energy, grow an awareness, whether that be spacial, a shared joke or about the knowledge of what each human carries with them. Among many questions that are continuing to be considered are What is Community? We have practiced listening, talking, thinking, moving and even swimming together. We have considered what’s necessary to create a sense of belonging or on occasion it can feel like were simply practicing being with people. Collaborators consist of expert and non-expert performers, dancers, actors, singers, directors, writers, social workers, visual artists, clowns, pilates teachers, their partners, their children… The invitation is particular its about giving time to be with people, people we individually recognise as being of value to ourselves, people we are curious about, people who we pass in the café and always say, yes we should meet and have that chat and we never do. The work relies on and cultivates live connections between people. I’m interested in honest, open, fresh conversation – not our prepared scripts or even saying other’s scripts or liking something on Facebook, but an opportunity to think a fresh, learn or be part of something. Dance has a special place in this. The performance projects are tailored to each community with an emphasis on difference and are focused on creating experiences that bind us. We have discussed collaboration, community, participation, inclusivity… All discussion has been lightly centred around notions of belonging. We have also talked about parties, friendship, responsibility, gardens, permaculture and other things. Then there are the huge questions like impact, motivation, culture or sustainability. I’m interested in fresh conversation, empowerment and action, an art action, regeneration, a pledge, something positive however small or potentially groundbreaking. To join the conversation see News for up and coming events. 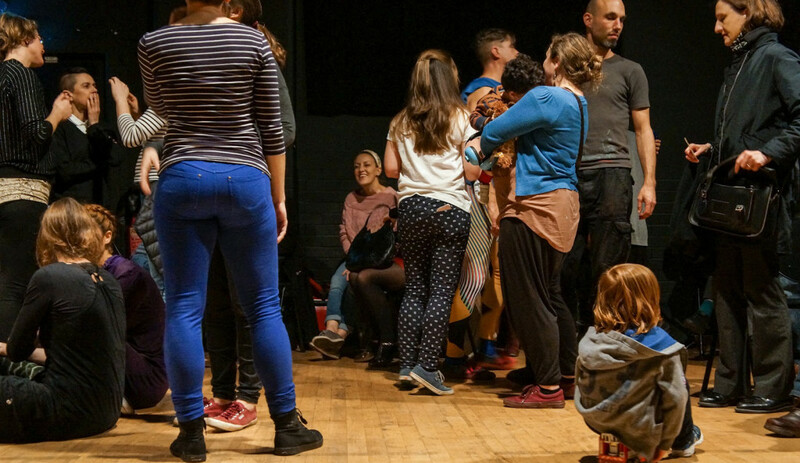 The most recent performance of Ways of Being Together was presented at Cardiff Dance Festival, Chapter Arts Centre. The work was performed by 46 people who love to move.. Since its initiation a few hundred people have contributed to the making and presentation of this project. I would like to thank everyone who has given their time and generosity to the work. This adventure would have been impossible without the attention and care of Sonia Hughes. Angharad Closs is a human geographer she has been following and writing about this process. We will be sharing her work at jofong.com. 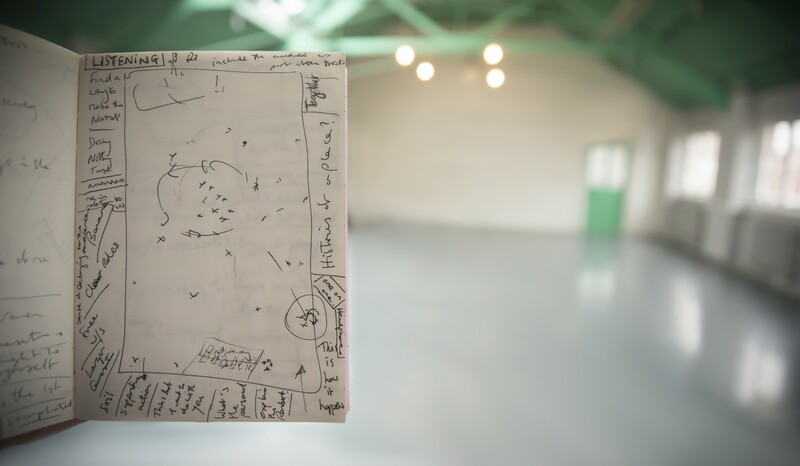 Ways of Being Together has been created with support from Arts Council of Wales, Fieldwork, Cardiff Dance Festival, Hull Dance, Hijinx Academi, Xintiandi Festival, Chapter Arts Centre, Barry Memo, Groundwork Pro, University of South Wales, South East Dance and Mayflower.